Black Trim Place Cards have an elegant look and will work well with a number of party themes. Use them for placement of your dinner guests or use them to assign spooky food names for the different dishes on the Halloween food table. White paper tent cards with a black trim. 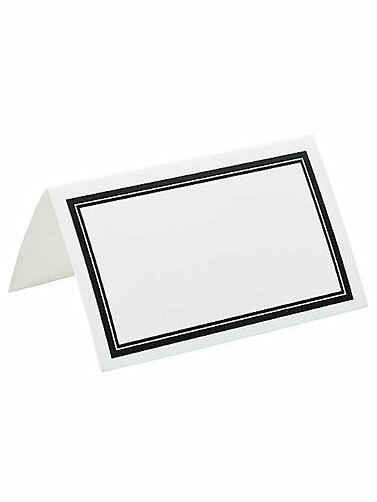 Black Trim Place Cards measure 3"W x 1.75"H. 50 ct.